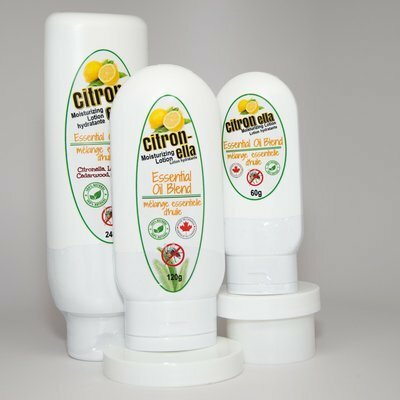 An all natural moisturizing lotion containing a special citrus blend of essential oils and vitamin E. (Cedarwood, Citronella, Eucalyptus and Lemongrass). 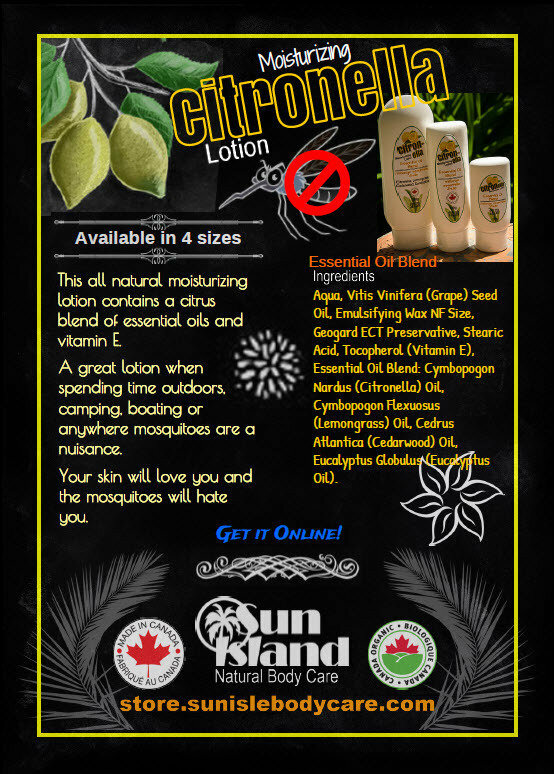 The essential oil ingredients of this lotion are well known for keeping mosquitoes away! This combination also creates a wonderful fragrance that feels great on the skin. Does it keep mosquitoes away? Check out our customer testimonials below. Don't forget to add your rating and review on our Facebook page! aqua, vitis vinifera (grape) seed oil, emulsifying wax NF size, geogard ECT preservative, stearic acid, tocopherol (vitamin E), essential oil blend: cymbopogon flexuosus (lemongrass) oil, cedrus atlantica (cedarwood) oil, eucalyptus globulus (eucalyptus oil), cymbopogon nardus (citronella) oil.